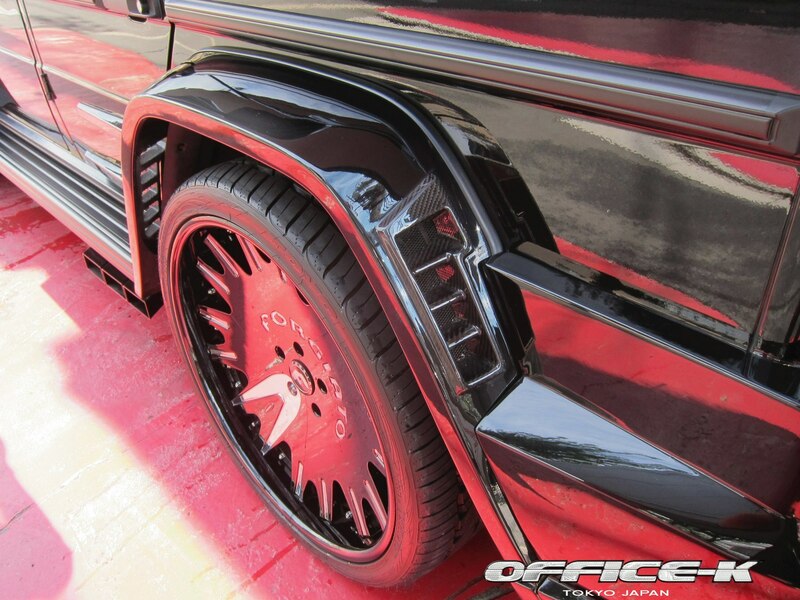 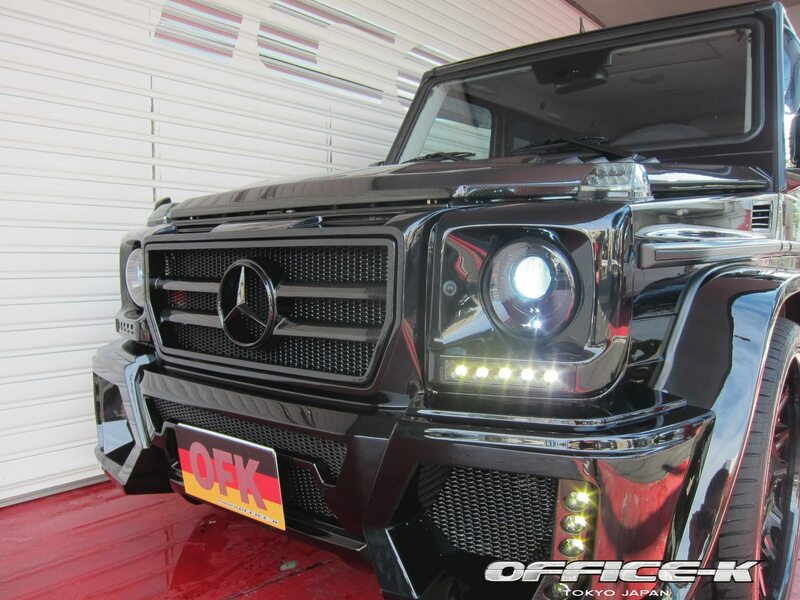 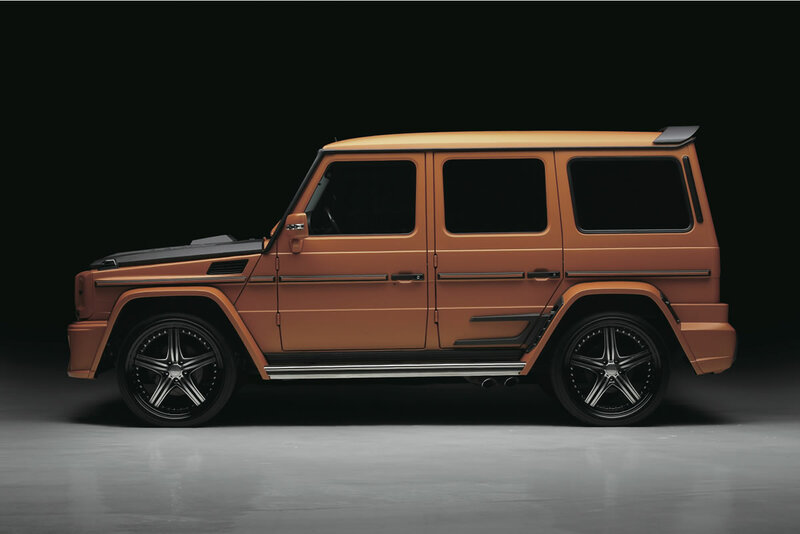 The Japanese tuners from Office-K have teamed up with WALD for one of the most futuristic tuning jobs on a Mercedes-Benz G-Class that we’ve ever seen. 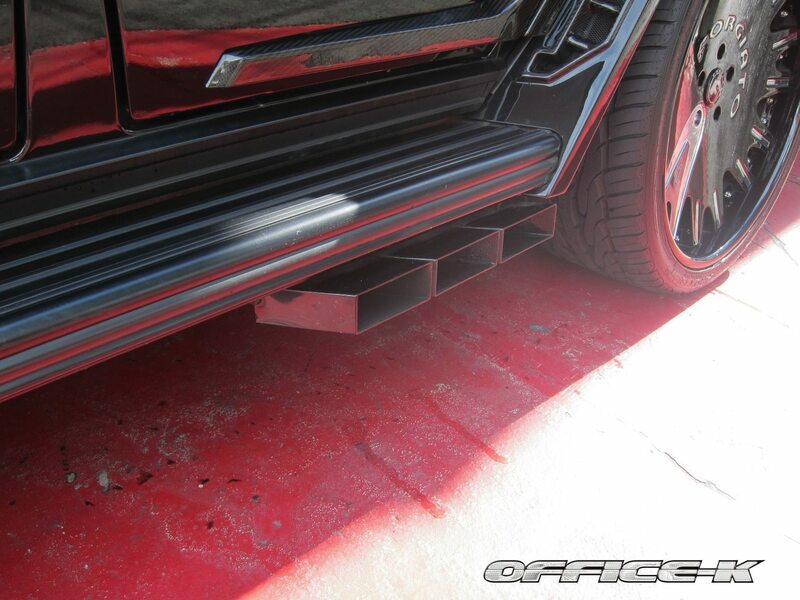 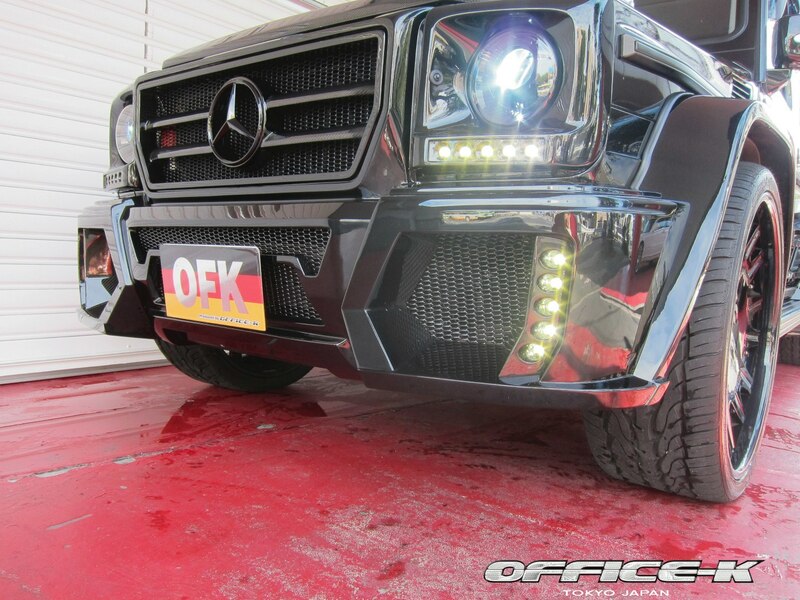 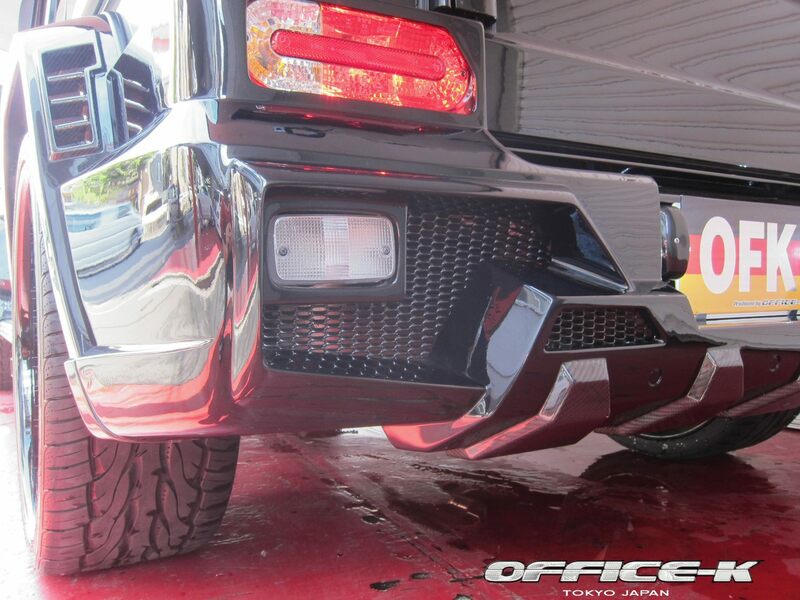 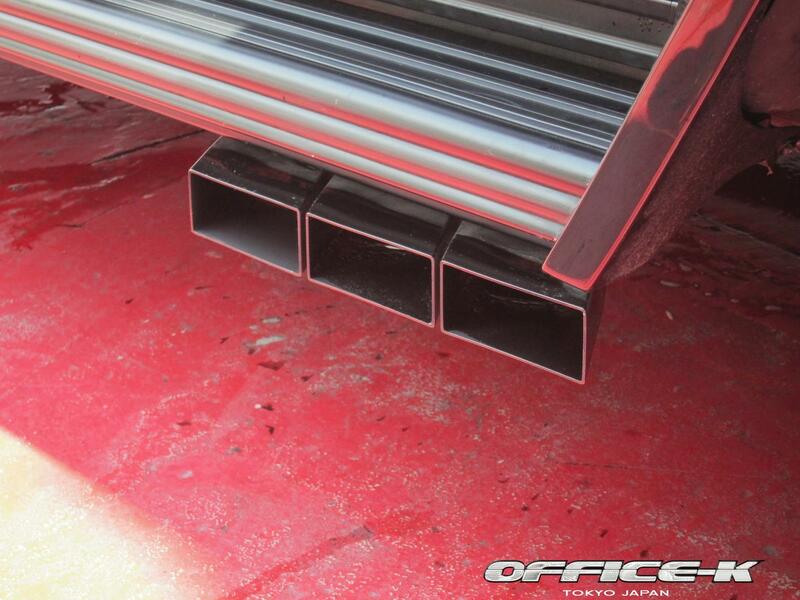 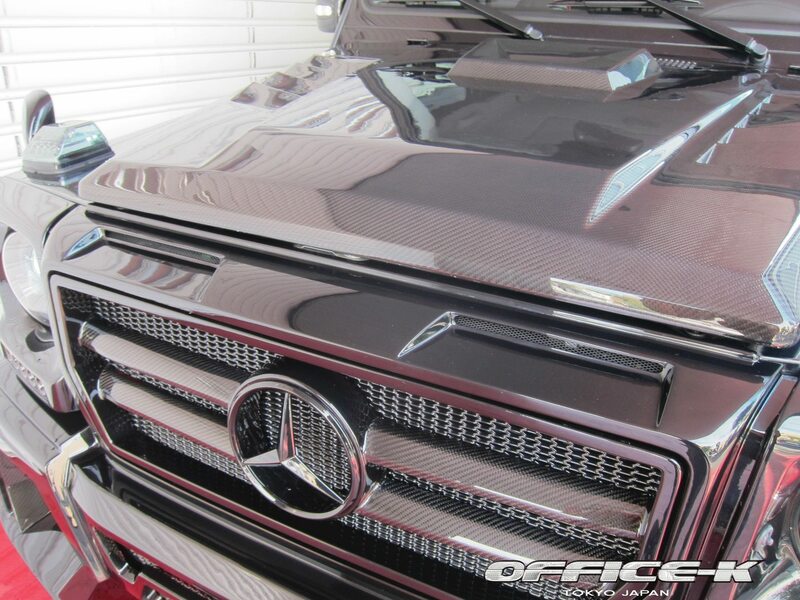 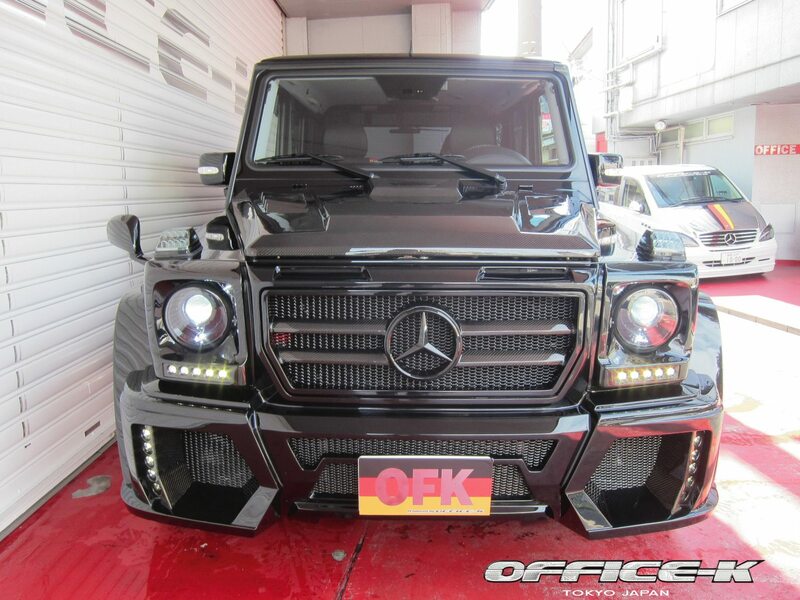 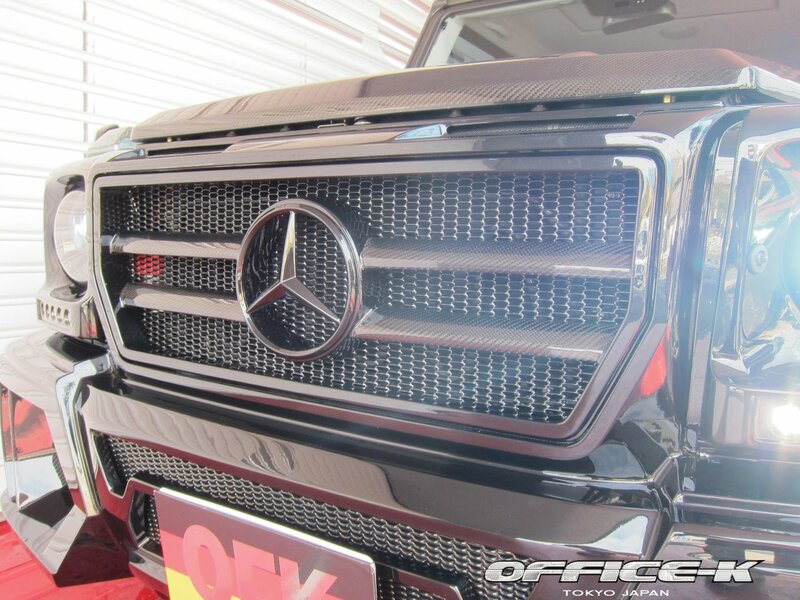 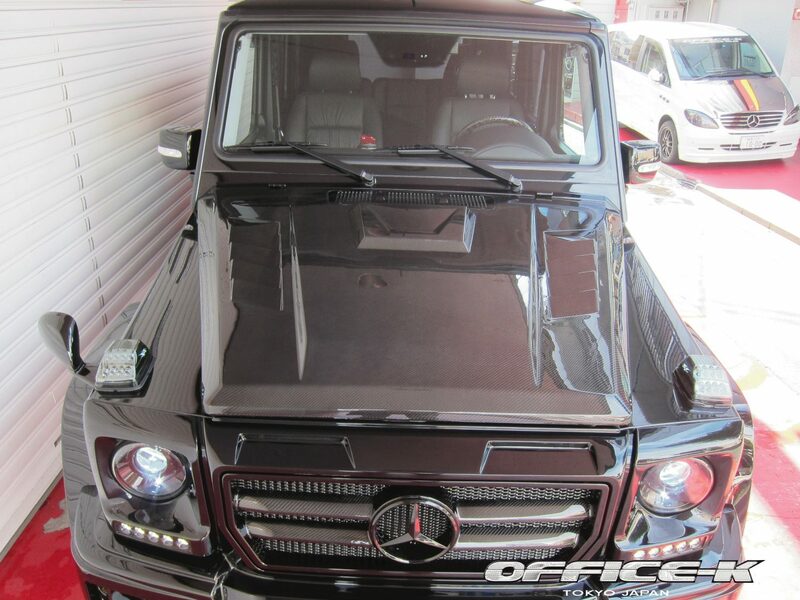 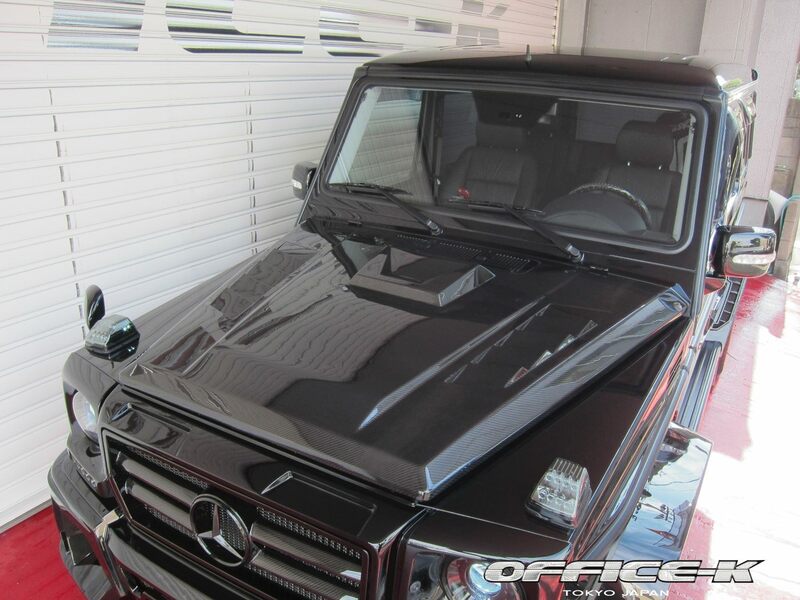 For the Mercedes G55 AMG Office-K took advantage of Wald’s aggressive styling, using their Black Bison exterior kit that includes front and rear bumpers, rear door panel, carbon fiber hood with air vents, headlight cover and fender extensions..
After installing the Wald kit, the guys at Office-K fitted the car with the best wheels that Mansory had to offer, a new set of huge concave 24″ Forgiato Enzo black alloys wrapped in high performance tires. 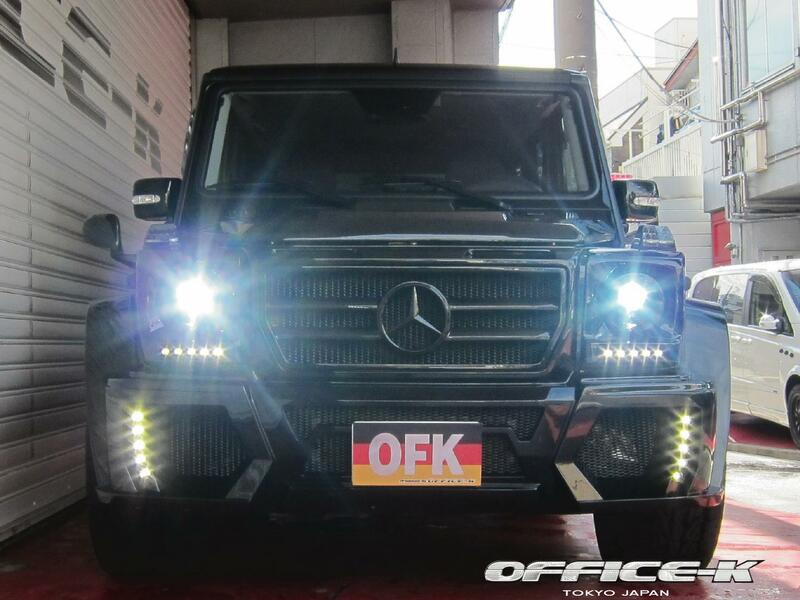 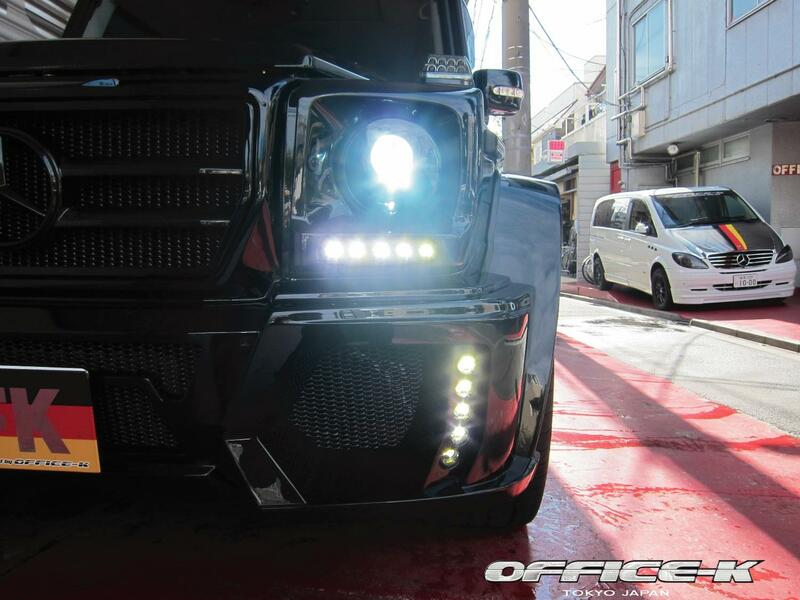 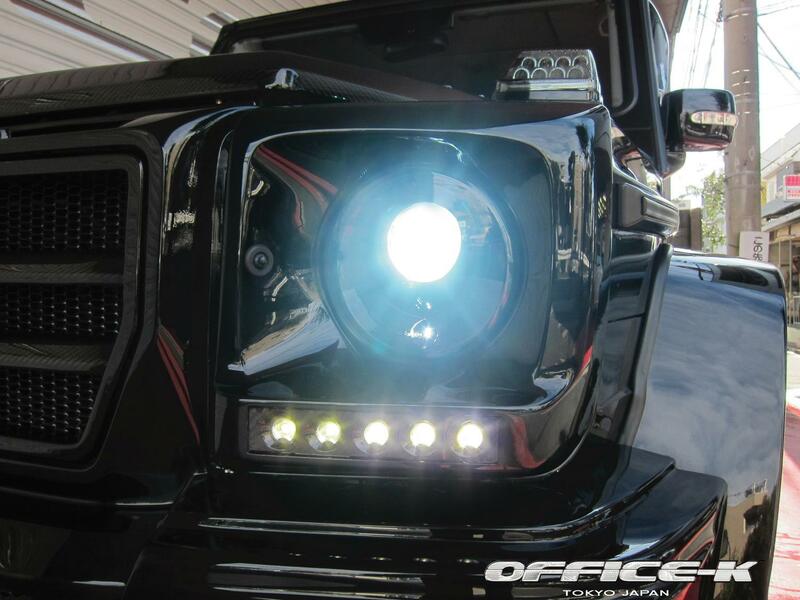 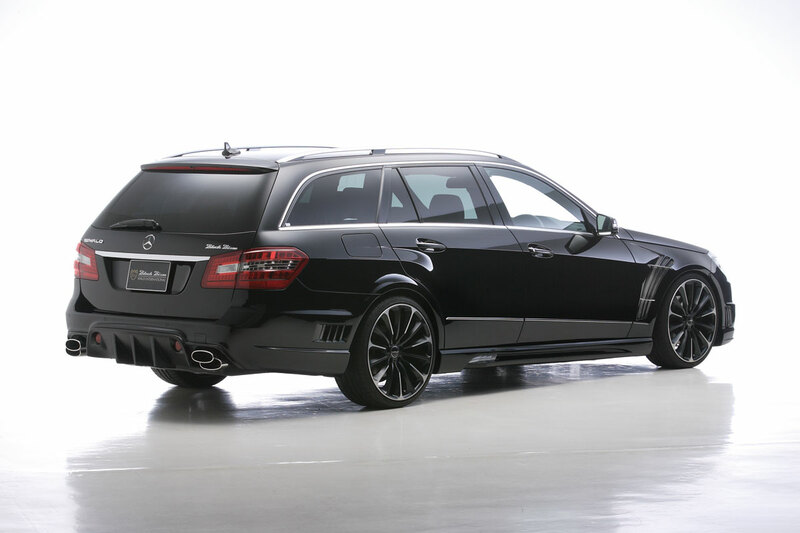 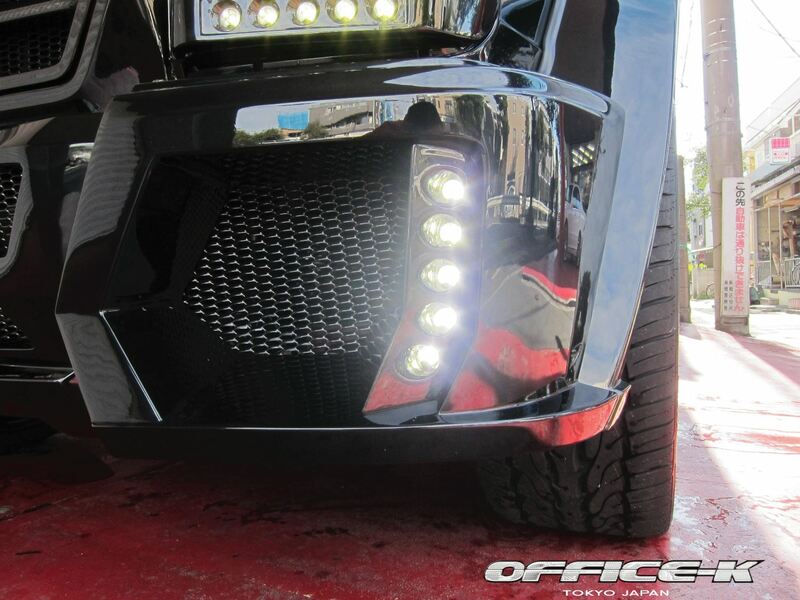 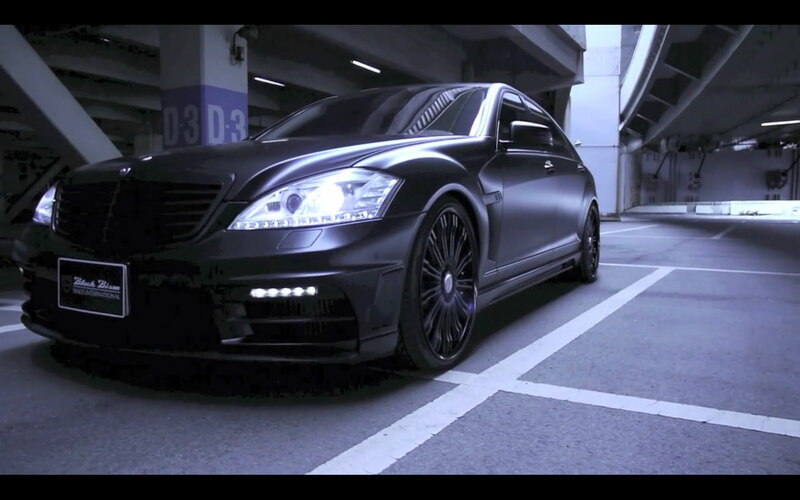 Also updated by Office-K were the G55 AMG’s headlights with a HID and LED custom kit, and a Miracle Square six-tip exhaust. 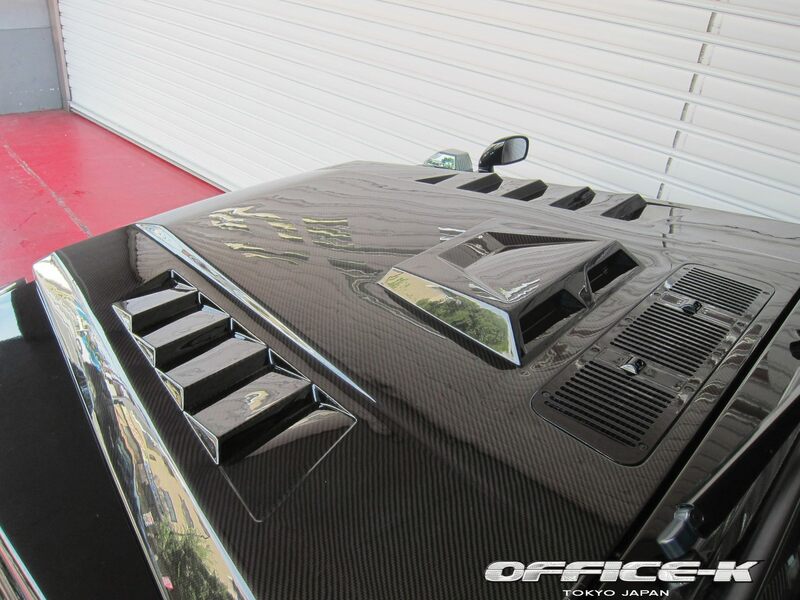 The interior was also updated, with several carbon fiber accents and unrivaled technology making the classic off-raoder even more futuristic.